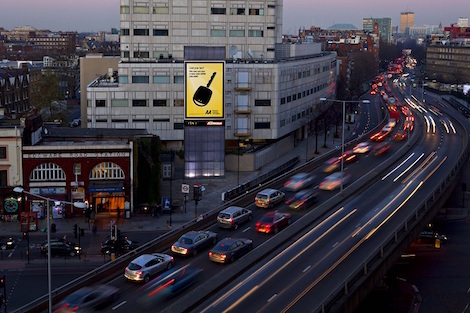 JCDecaux, the world’s largest Outdoor advertising company, The Automobile Association (AA) and GTN UK have launched a fantastic new campaign combining Out-of-Home (OOH) and Radio to reach the right audience at the right time. The campaign delivers premium large format digital sites along key arterials that will be synced with GTN’s Network Drive package to deliver high-impact messages at a huge scale during key AM and PM commuter slots. While driving to and from work, commuters will hear AA Radio advertising about the useful services they offer such as lost key assistance as well as using their app to help find the cheapest fuel. The message will then be reiterated using JCDecaux’s premium large format digital sites to leave a lasting impression. The campaign, planned and booked with JCDecaux by Starcom and Posterscope, launched on July 4, 2016 for four weeks, followed by another two-week burst in August. John Quinn, Chief Operating Operator at GTN UK, said: “The combination of our Network Drive package delivering critical information across the whole UK commercial radio network & JCDecaux’s premium large format digital sites provides the ideal advertising environment that ensures The AA can deliver their messaging in a contextual environment at key commuting times. A true cross-media experience”. Part of a national campaign incorporating backlights, billboards and roadside 6-sheets – the digital element will produce over 61m impacts, of which 69% of those impacts will be car owners (persons directly responsible for breakdown cover and car care. Route data). This entry was posted on Monday, July 4th, 2016 at 15:02 @668 and is filed under DailyDOOH Update. You can follow any responses to this entry through the RSS 2.0 feed. You can leave a response, or trackback from your own site.